Cerebral French films are full of them: The “what if” moments of life. “What if you had not worn that blue dress that day?” such a film might ask in all seriousness. Such films are made because these moments happen. Franklin, Tennessee, painter Roger Dale Brown—who says, “It never entered my mind to be an artist for twelve years after high school”—was faced with just such a moment years ago. He had been assisting a muralist, a job that provided him with a weak toehold onto the outermost edge of the art world. He had yet to paint his own mural. But that didn’t matter when one day he attended a meeting with some designers who wanted a mural painted and the main muralist didn’t show up. It was a turning moment for Brown. 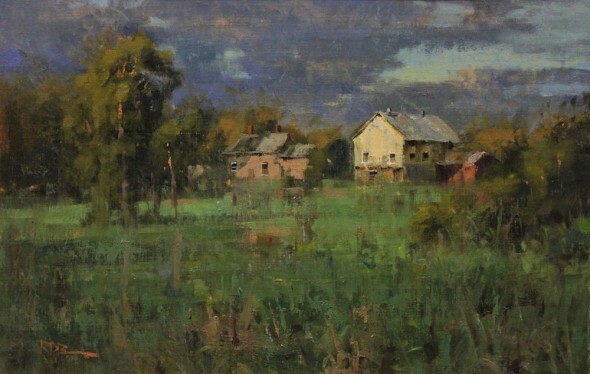 Today he is not only one of the most notable artists in the genre of plein-air paintings, he encourages others to step onto his vapor trail. 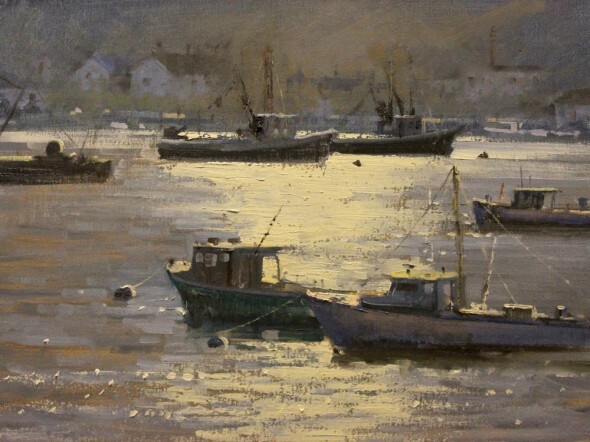 He has become the go-to teacher in this region for the genre; any starry-eyed dreamer who hopes to become a painter in the Impressionist vein has taken classes with him. By going into the backcountry to hike, by traveling all over the country in his camper, it seems Brown has captured every rugged mountain, golden field, calm harbor, and snowy forest—and he has captured them in the ever-changing sunlight with loose, energetic strokes. During a recent interview at Leiper’s Creek Gallery, which represents him, Brown spoke in a low, soft, slightly faltering Southern accent. Originally from Birmingham, Alabama, this untrained artist decided to study plein-air painting after his stint in commercial mural painting. He first studied with renowned Nashville art teacher Hazel King. By 2002, the accomplished plein-air painter Dawn Whitelaw had become Brown’s mentor, and he had taken a workshop in Wyoming from Scott Christensen, another notable in the world of plein-air painting. “That’s when I really got going,” Brown says, noting that setting goals became the motivator for him. One goal, after taking the workshop with Christensen, was to paint one painting on location each day for 365 days. He completed 350. 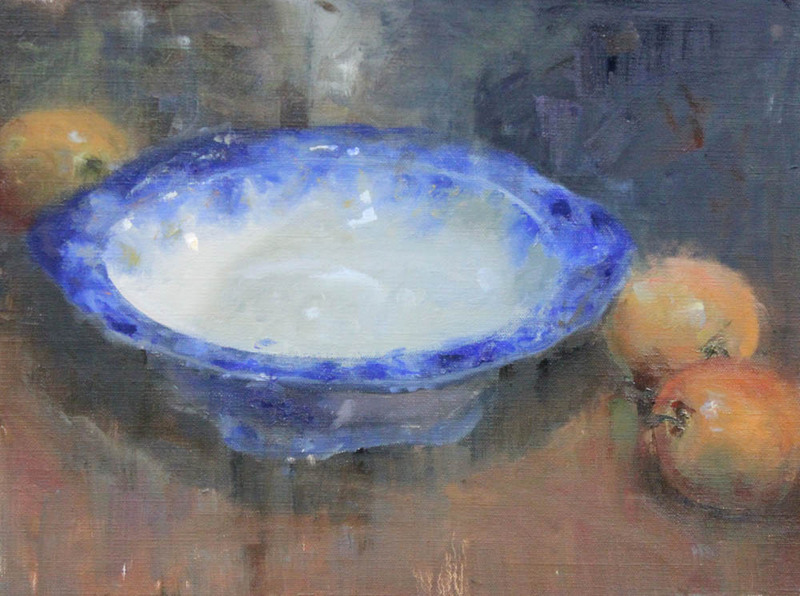 “Painting on location is where you really learn a lot,” he says of painting in the style of the original Impressionists, who abandoned the security of their studios and sallied forth into the French countryside. Today Brown is inspired by turn-of-the-century painters Edgar Payne and John F. Carlson. Andrew Wyeth is another influence. Richard Schmid and Quong Ho are among his favorite modern painters. Beyond studying the greats of his genre, what Brown does is get out there and paint—and not just next to gardens and ponds, but in the wilds where he comes across wolves and grizzly bears. This past summer he spent three months on the road with his fiancée, Beverly Ford Evans, who is also a painter. They took their two dogs, a West Highland terrier and a Cairn terrier, and traveled all over Pennsylvania and New England. “I grew more in those three months than I probably did in the last three years,” Brown says. “My work changed dramatically for the better.” He came away from that trip with a quality of smudged edges and a greater abstraction to his shapes. 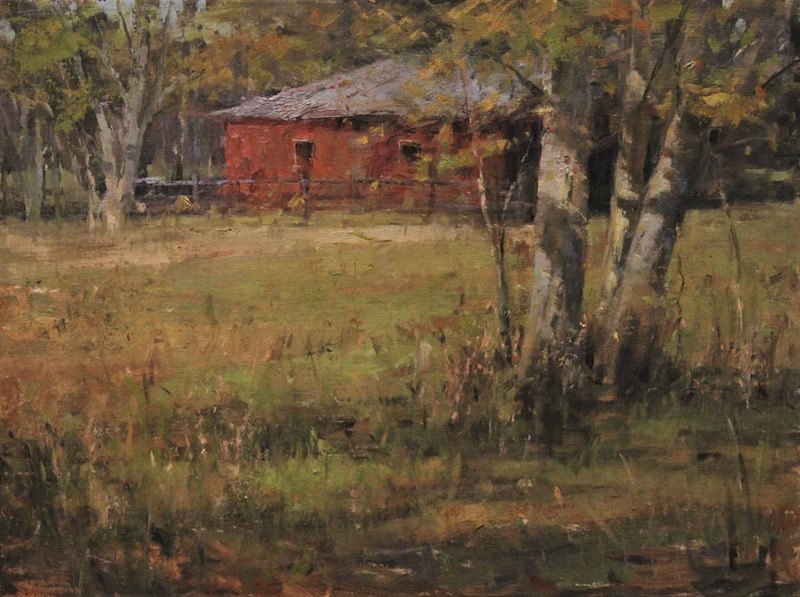 He says his trick is to “un-describe” an object—for example, the barn captured in the painting After the Storm. 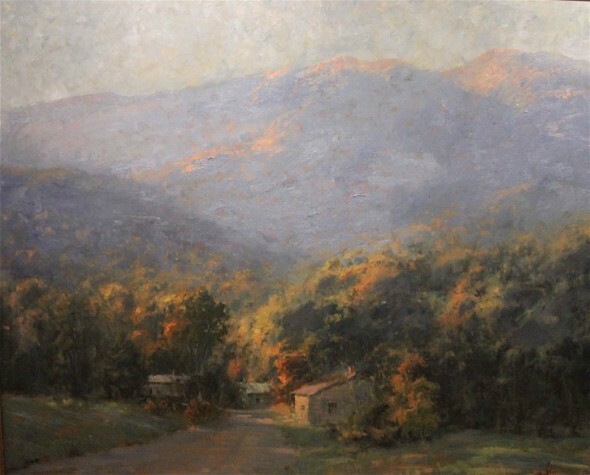 For his glorious painting Morning Sunrise, captured in Boone, North Carolina, there is an inhuman grandness to the mountains while the valley’s rustic homes vibrate with human intimacy. Brown wanted to capture the grandness of the mountain, so, as he often does, he manipulated objects’ sizes, staying away from literal representation. The smaller the trees, he explains, the grander a mountain appears. 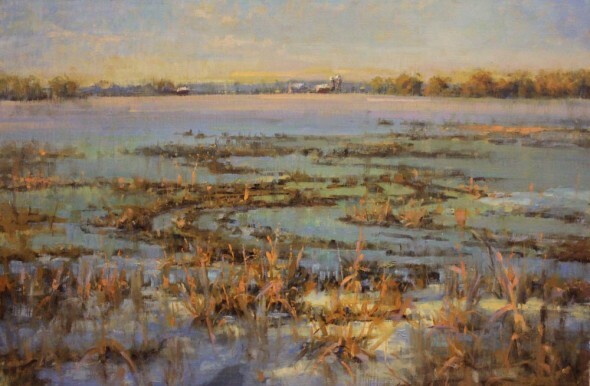 Brown wants to continue his journey with a “more visceral approach,” he says, imbuing his canvases with the history and geography of his favorite places, such as Maine. “I want more of that inward soulfulness to my painting,” he says. But no matter how far he roams, he won’t forget about that one moment that changed his life—the moment when he could have said, as he now explains, “I can’t do it; I’m sorry.” That moment was something of a miracle, Brown believes. Roger Dale Brown is represented by Leiper’s Creek Gallery. What do you think about Brown’s approach to becoming an artist? Share your story about how you get your first real art gig.